DEADLINE TO VOTE NOV 21: The selection committee for the 2018 FIT Communications Inspiration Award has announced its 5 finalists to receive its inaugural Inspiration Award. Two of the five finalists come from the sport of basketball and we are encouraging all members of the basketball community to vote for either Anne Adewumi or Claire Signatovich to be the ultimate recipient of the scholarship award. 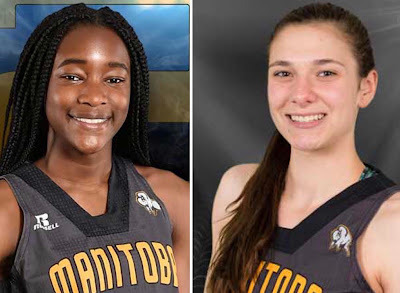 Both are members of the Manitoba Basketball Provincial Team program. GOOD LUCK ANNE & CLAIRE!